If you are tired of using improvised hoists when working on your engine, then the Torin 32001 Foldable Engine Hoist and the Torin 32002 Engine Hoist with load leveller are two great options that will make your job easier. To help you decide which of these engine hoists will suit you, here are the main differences between the Torin t32001 and t32002. Weight – The Torin 32002 is lighter than the Torin 32001, as it weighs 160 pounds while the Torin’s 32001 weighs 186 pound. This means that the Torin 32002 model is somewhat easier to manoeuvre. 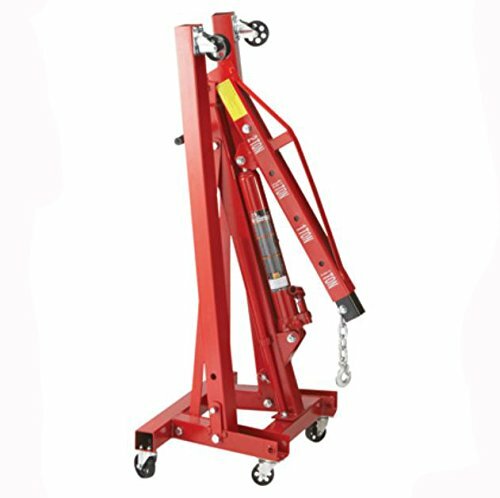 Extra Feature – Another major difference between the two hoists is that the Torin 32002 includes a 1500 pounds capacity engine lever. This feature is not included with the Torin 32001. Price – Although there isn’t a significant price difference between the two, the Torin 32001 costs just a few more dollars than the Torin 32002. 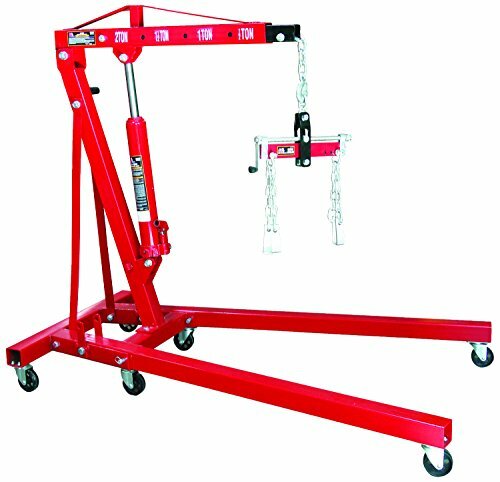 Heavy-duty folding engine hoist with a lifting range from 1 inch to 93 3/4 inches. 6 wheels for added mobility and a foldable design for easy storage. 2 ton capacity. 1500 pound capacity engine leveler is not included. Torin T32002 Engine Hoist with Load Leveler - 2 Ton T32002 Heavy-duty folding engine hoist with a lifting range from 1" to 93-3/4"
Both of these engine hoists are good choices (along with the added options); however, the differences between them can help you make a better decision about which one is right for you.